Next post: Look at Me — Dancing in the Townships! 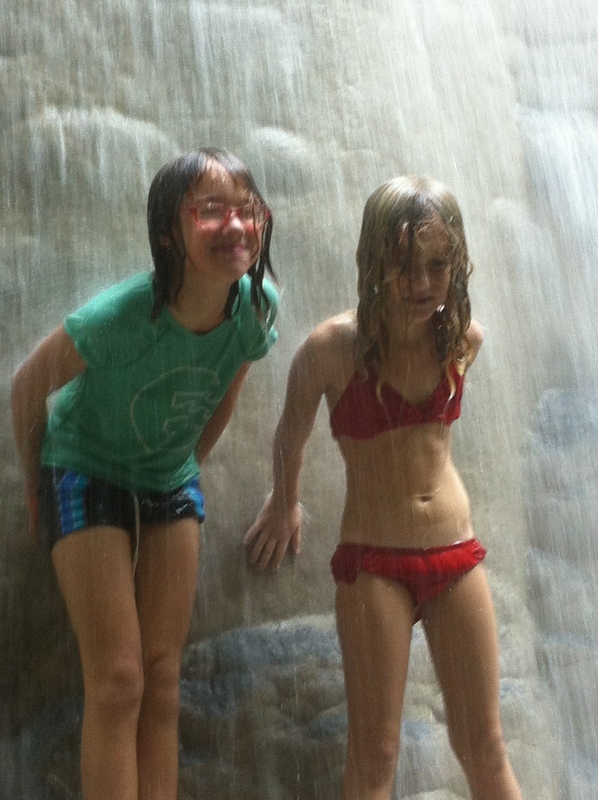 Here we are at the bottom of the falls. They felt like a refreshing shower. 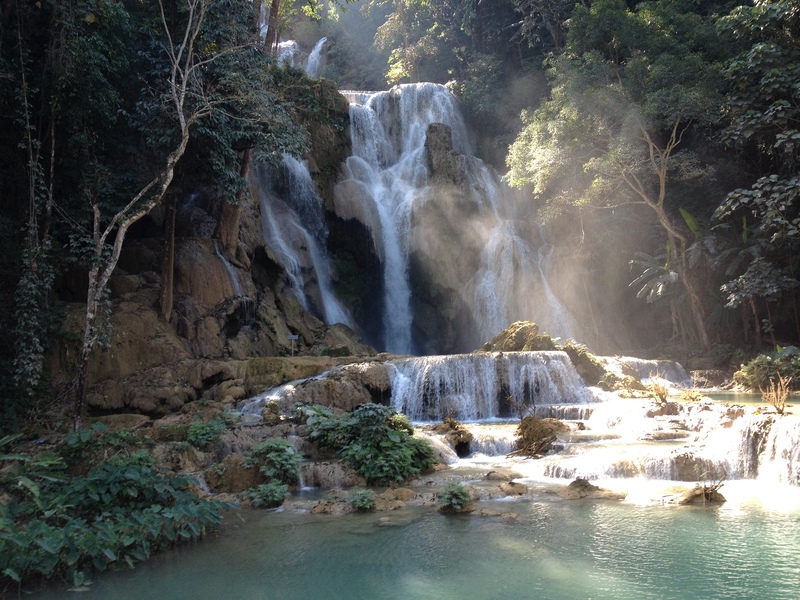 Our next stop was Laos (AKA the Lao People’s Democratic Republic). It was one of my favorite countries on our whole trip. It has a beautiful landscape, an ancient culture and the people are so nice! We spent a month there, and visited a lot of temples, especially in the amazing city of Luang Prabang. 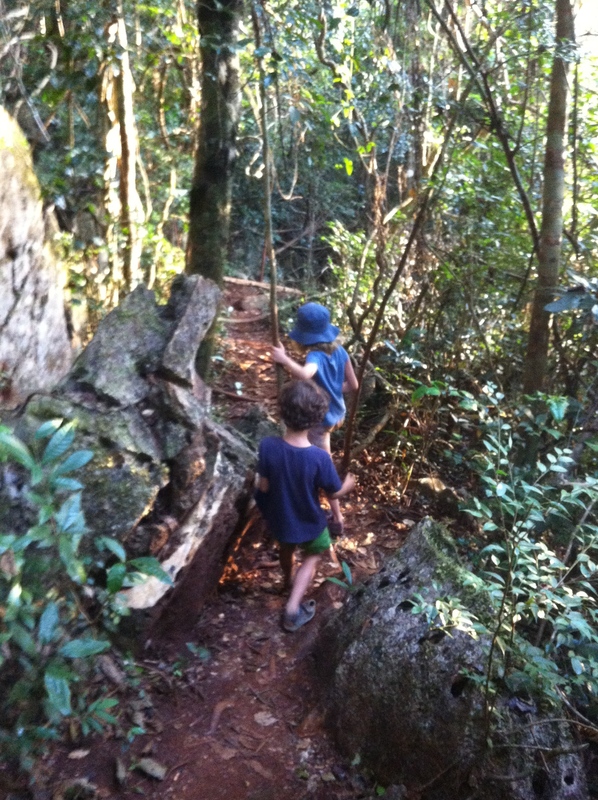 We also spent a lot of time outdoors in nature. 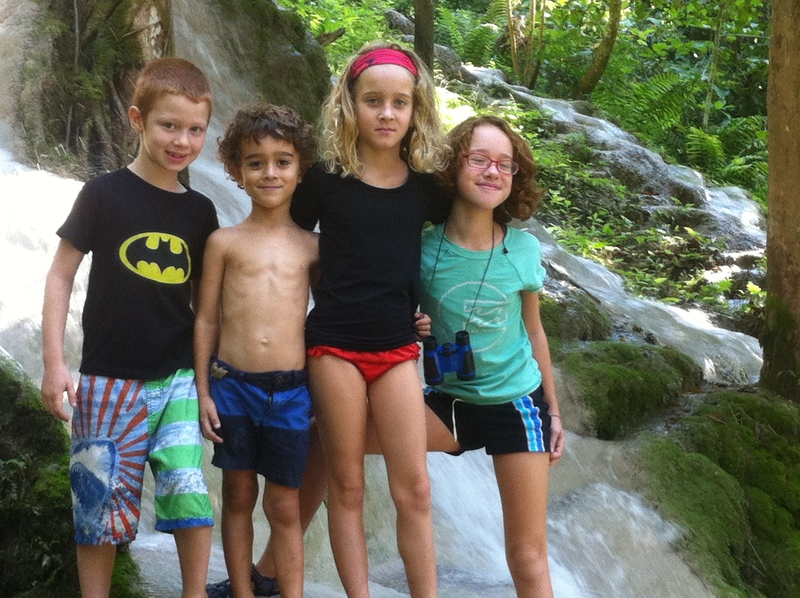 We visited some beautiful waterfalls there too. 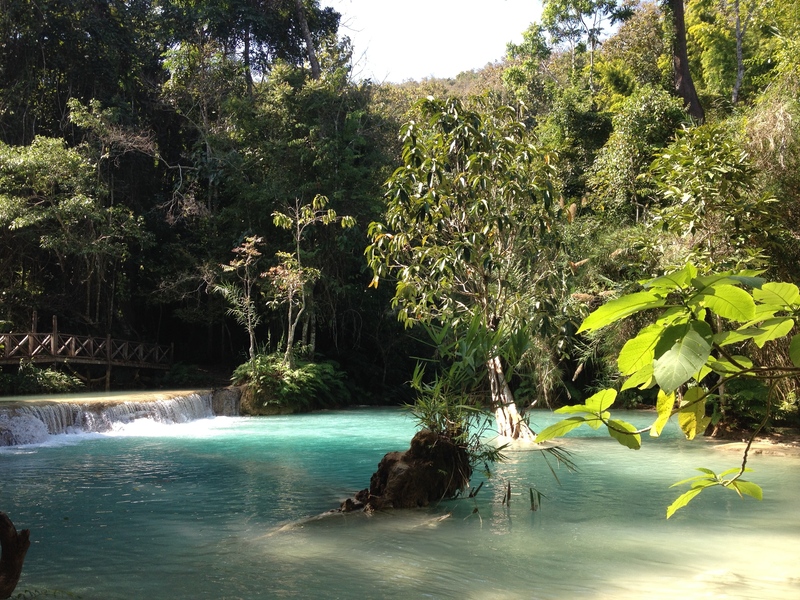 This one is called Kuang Si waterfalls. We hiked to the top. 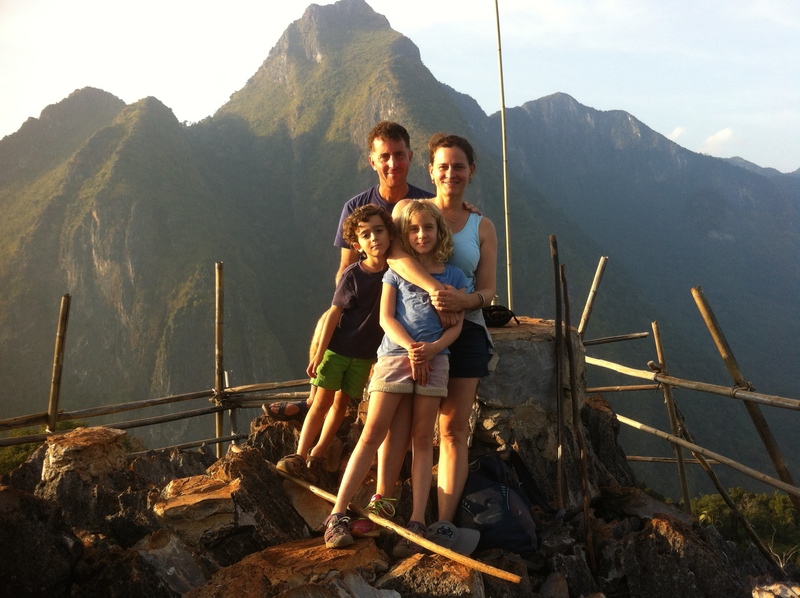 We also did a very difficult hike near the village of Nom Khiew to a fantastic lookout point. 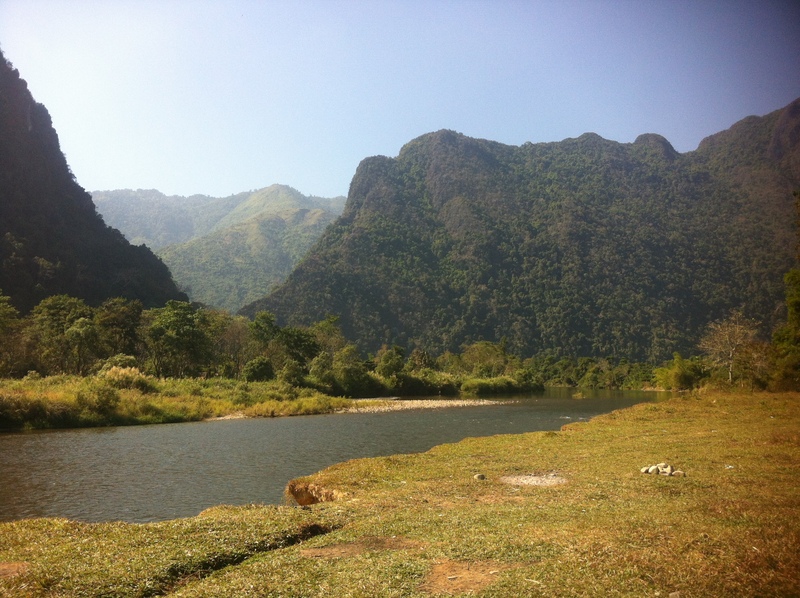 From there we took a treacherous 8 hour bus ride to Vang Vieng, a town which is known for its nature. 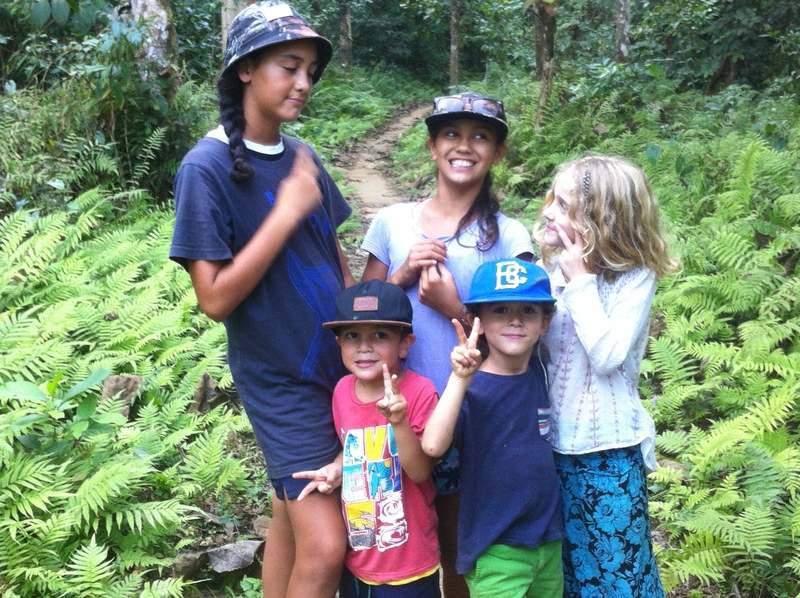 We met another traveling family, the Morgans, from New Zealand, and had lots of fun together. We went kayaking on this river and I rode a zipline over it. 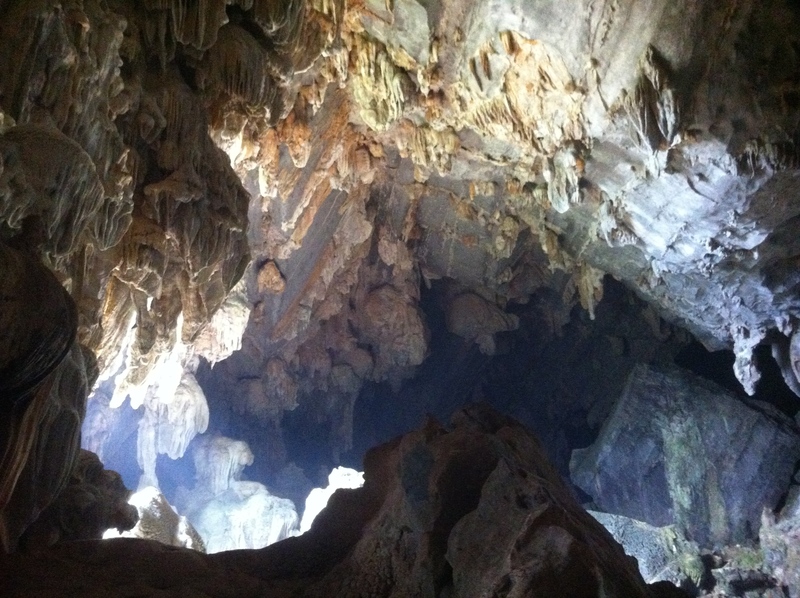 Later, we explored some enormous and fascinating caves. We spent almost an hour in this cave near a place called the Blue Lagoon. Hi Esme! It’s Maddie. I noticed that you included me in your post:) I had so much fun with you, too! 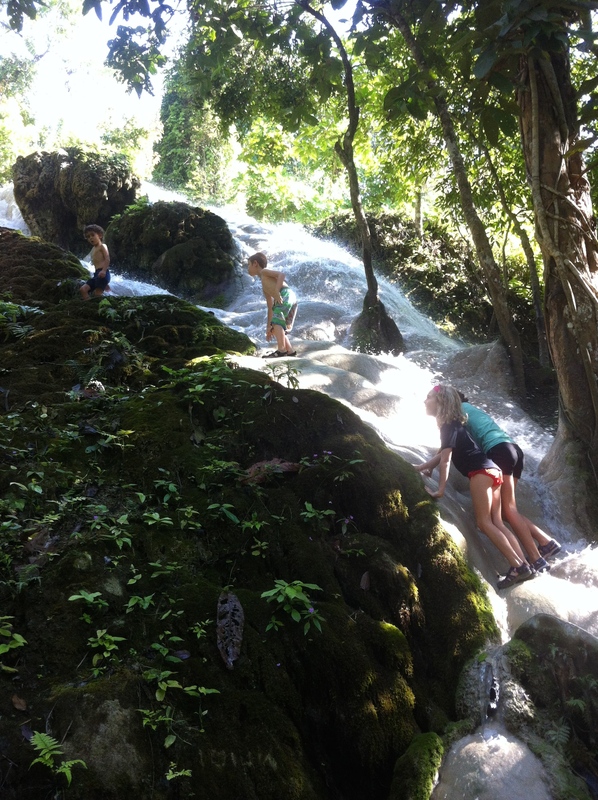 Sticky falls was awesome! Thanks Maddie. Looking forward to seeing you in Cambodia. What an awesome adventure you are having Esme. I would have loved to do the zip line across the river. Thank you Devin for replying. How is school? place you went so far? I LOVE zip lining over rivers, in fact at my camp they have a huge zip line over a lake. Since you keep going to these amazing places, keep posting to where you’ll go next. We miss you sooooooo much!! !